Having an outdoor living space can be a wonderful, relaxing addition to your home. Continuing the decorating style you already use indoors into your outdoor space can also help to increase your home’s value. It can be difficult to know how exactly to do this, however, particularly if you’ve used salvaged items to create a unique look for your home. 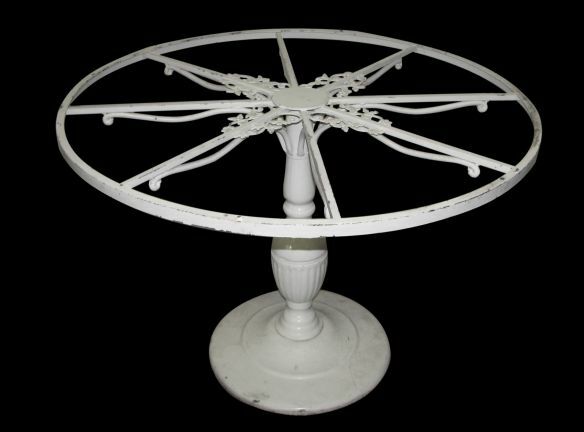 As the top salvage company in the country, we have the opportunity to create many interesting decorative pieces and spaces using salvaged items in ways many people don’t even think of. Read below for how you can create a beautiful look for your outdoor space using items from one of our many locations. Every garden should have a gate or a door, but not necessarily as an entry point. 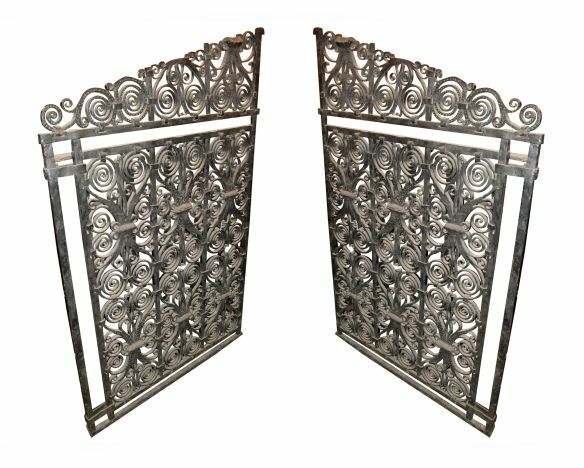 Above is just a small selection of iron entry ways available at Olde Good Things. 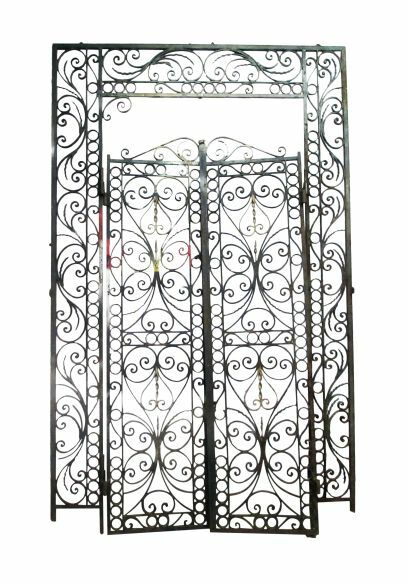 An antique French door that no longer contains the glass (like the one from our online selection shown above) can make a beautiful trellis for climbing flowers or decorative vines. Refinishing or painting the door in a bright, bold color can also make it a lovely accent piece when placed against a fence or a garden wall. 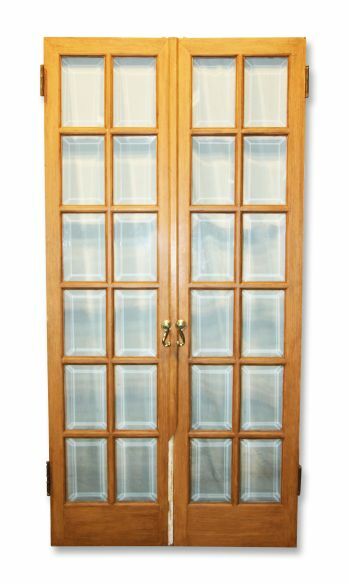 For a more traditional look, two solid doors can be connected with other wood pieces at the top to make a beautiful arbor. Consider placing a bench or reading chair beneath it to create a peaceful nook for reading, relaxing, or late afternoon naps. 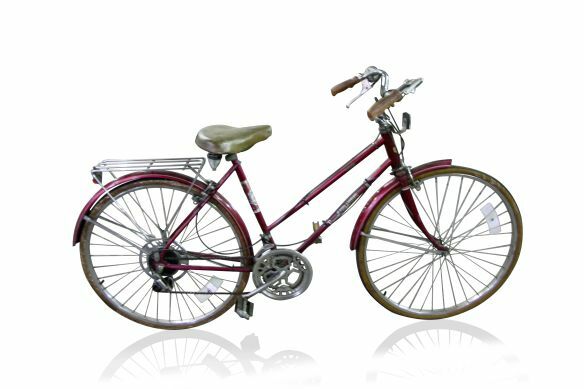 consider weaving climbing flowers or vines through the wheel spokes and around the frame. The color of the bike can be incorporated into your garden’s theme, or it could be used as an eye-catching piece to liven up a more drab area of your outdoor space. Tables missing their tops, or chairs that are missing their seats also make excellent planters, and can be very interesting pieces. 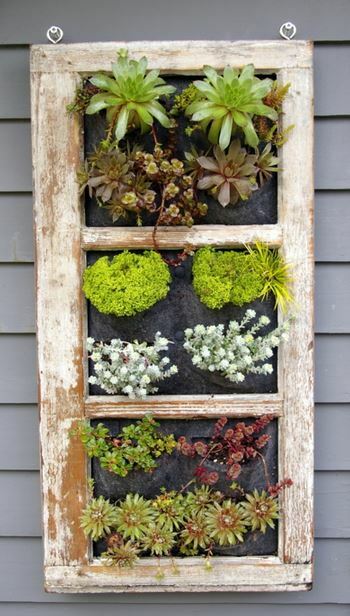 These types of items also work quite well in smaller spaces, or on patios that don’t have any real planting space. Stone pieces are a traditional choice for decorating an outdoor space, but that doesn’t mean that they have to be boring or ordinary. Consider moving beyond traditional stone planters and statues, and search for something more unique. Using a piece with an interesting design can really bring your personality to your garden. Salvaged stone pieces from mantels, decorative walls, columns, and other elements can really make your garden a unique and interesting place to relax or have friends over. For larger gardens, consider breaking up the space with an interesting element like a piece of stained glass, or an antique chandelier draped in glass beads. No only will elements like these look interesting, the light shining through and reflecting off of them will create beautiful patterns and colors that will really help your garden stand out. Use a bit of a strong, antique chain to hang these elements securely from a tree, arbor, or trellis. 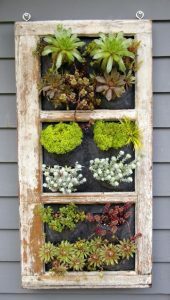 If you prefer the look of wood to glass, an antique window frame with the pane of glass removed can make an excellent hanging planter and define the space in a similar way. 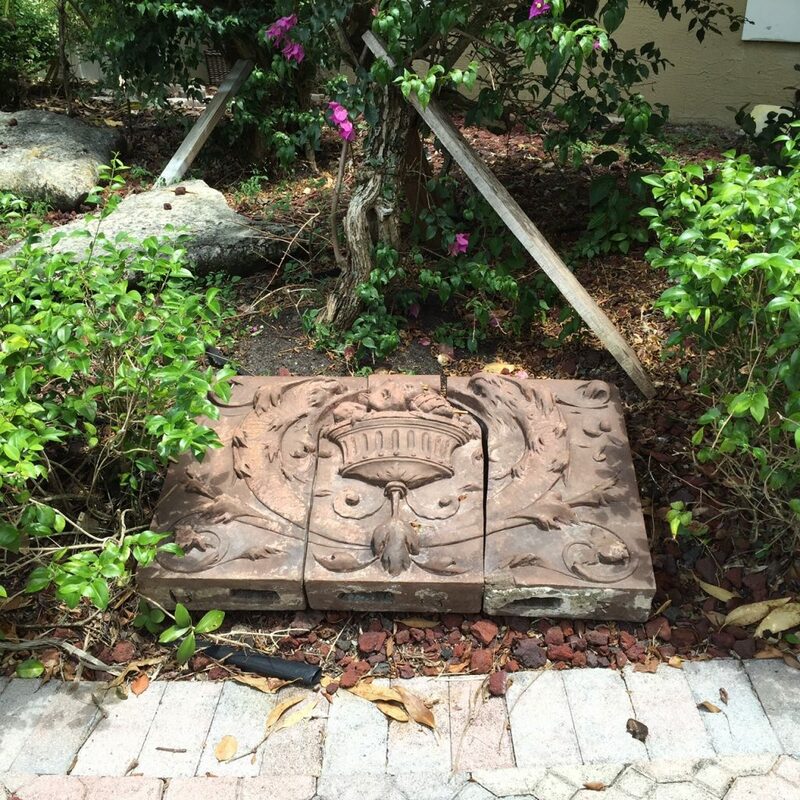 Using salvaged or antique items in your garden can be a wonderful way to set your garden oasis, and your home apart from the others in your neighborhood. Using pieces that are unique and different is a great way to create a space that shows off your style and personality, while giving you a wonderful place to relax and get away from it all. With the help of Olde Good Things, you can easily transform your backyard into a hideaway just for your enjoyment, or a mindblowing entertainment space that you and your family and friends can enjoy.